I don’t really keep a journal. This blog is all I have. So, when this prompt came up, I didn’t know what to do because I keep giving my memories away to those who are ready to receive them. What can I remember of 10 years ago? I turned to Gmail. And slowly, the mails started loading from 2007. Layers of dust came peeling away, the glitter pangs of the past erupting in a wave of tabbed mails. I started going through the mails. 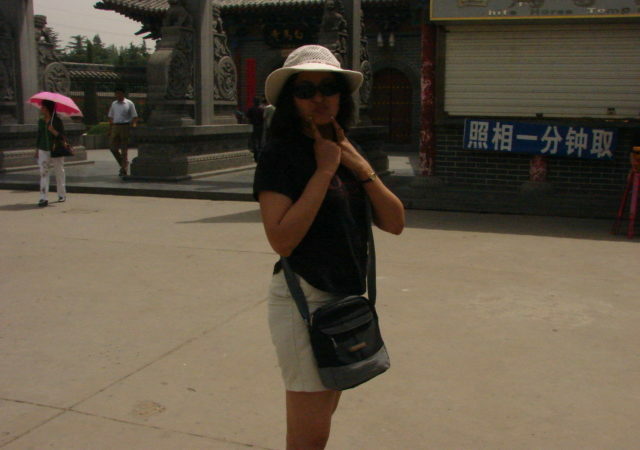 In 2007, I was in Xuchang, China, staying with Birdy. I had fled there to escape a disastrous end to an engagement. Scroll, scroll. In Feb, I had written to my ex at that time, wracked by guilt over our sordid end, and I noticed that we had ‘closed’ it finally on a good note. 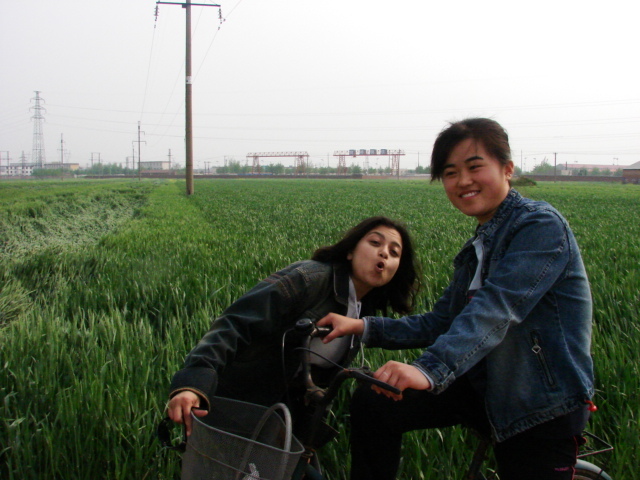 I looked at dozens of people I had mailed during those months in China – and hardly anyone from there are still friends with me now. Where do the people in our lives go? Names roll off. Shreekumar. Ashok. Rachit (Potato). (I had even called him my ‘darlingest’ friend then). Deepak. Hong Mei. Kiran. Victor. Paresh. Cissy. Raghuram. The darlingest friend I had then – Potato as I called him. Now, friends no more. Time. A decade. Change. Did I really know these people? I feel saddened at the loss of so many. But then, suddenly I feel blessed. These people came and went with promises of love and friendship. That was a blessing. They blessed me with their presence. The opportunities to know them enriched me. The SM I see in the mirror now is a sum of all these people who left glass-filled memories, like flowers on a morning dew, melting against the sun. 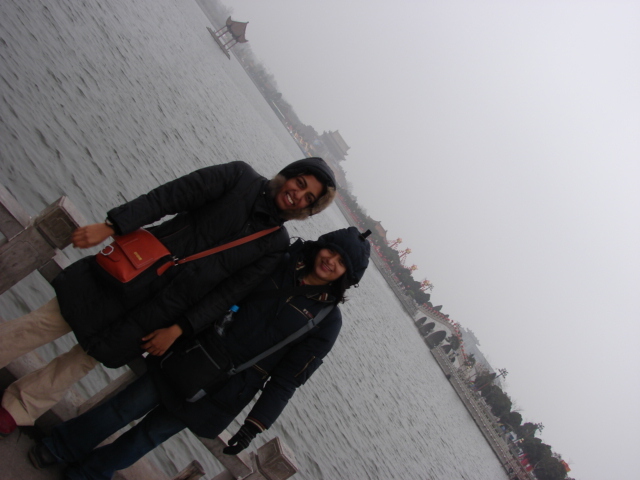 My one constant through the decade….the two of us posing in Kaifeng, China. And we will pose many more, I know, before we are done. Fooling around with Ruby, one of our students. She is still around, though. 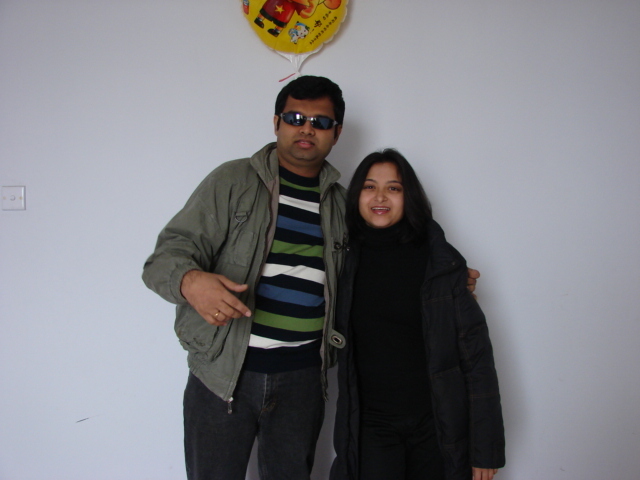 I last met her in Shanghai in 2012 or 2013. 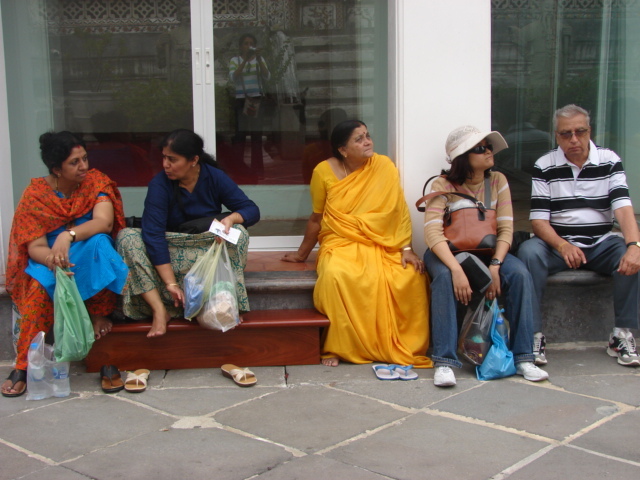 I took all of them with me as I went back to India that year. I joined Thomas White International as a Research Analyst, beginning the longest stint of my professional career. In 2007, my parents joined me on their first trip abroad as they flew Nok Air with Birdy’s Mom. It was to be a beautiful trip, and to this day, my Mom will come anywhere as long as Birdy is there to take care of her. The Grunge Gang it was. Me with my parents and Birdy’s mom and her friend in Thailand. I tear up now as I write this because I have such beautiful people in my life. I think of how in 10 years, I have churned the wheels of life, clung to the wisps of frail egos, and unclasped my self with all its vulnerabilities. I have lived. I have cried. I have been angry and hurt. I have lived. Oh! 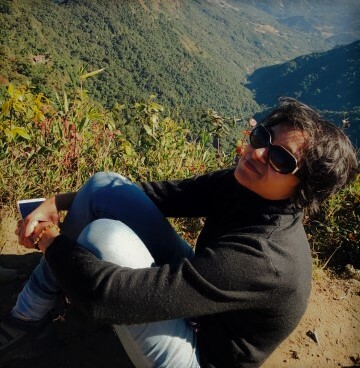 It has been a blessed 10 years – the sparkle of sun-kissed stars that have lit up every corner of a bruised and often bitchy heart. But I have lived. I know I have.